Steak N Shake - Turning away customers???????? Steak N Shake - Terrible!!! I’m a Door dasher and Ive been in this particular Steak ‘n Shake 2998 HWY K O’fallon, MO multiple times. Every time I come in it’s slow and poor customer service. But the thing that gets me is there’s one guy that works there that’s cussing at other employees, flipping them off right in front of customers. I hope this is not your normal policy to hire this type of person. I'm hearing impaired. I actually waited for 25 minutes before I was even asked if I wanted to dine in or for it to go. A guy walks gets served in and out in 5 minutes. Before I was even acknowledged. I asked to speak with manager she was nonchalant about my issues and just pointed me to go sit down! Dorothy is the manager on board. She never addressed my concerns with any true professionalism! Located in Indianapolis, In steak n shake. Located downtown! I placed an online order but the store is closed but my card was charged. I would like a refund because the store was nof open when i placed my order and I was unaware of this. 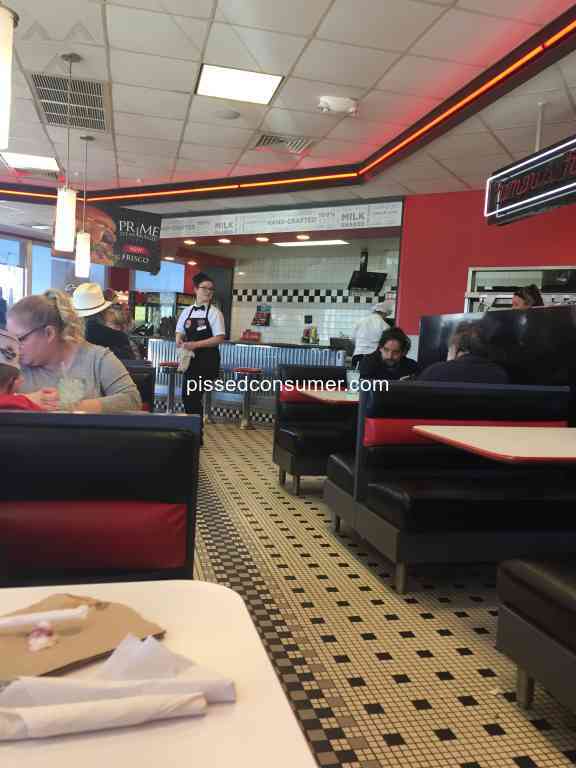 Walked into steak n shake seated immediately, there was only 1 other customer in there besides my husband and I. The waitress cleaning stated to give us to Angie. 20 minutes later we were still waiting to meet Angie so we left. Never again. 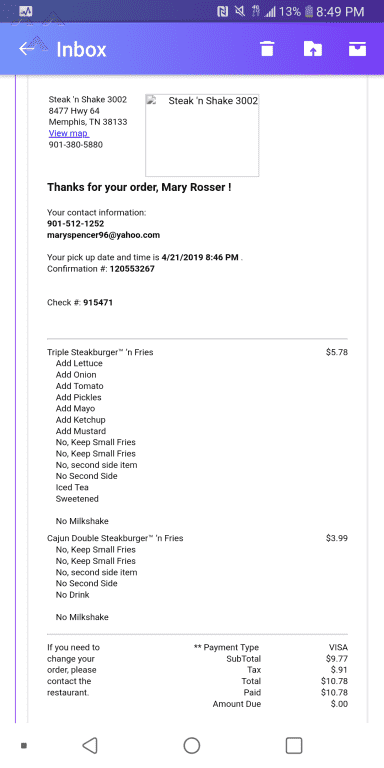 I visited valparaiso location on 4/20/2019 at 12:00 pm It was steady but not busy plenty of staff from my Observation . Sat at 12:09 took 9 min to be seated when there were empty tables . Took 15 min to get a server to take a drink and food order . Took an additional 8 min to get waters . It’s 12;44 I just had to ask waitress if we were getting our food she had to check . Still no food empty tables in the restaurant . I have had redundant bad service and not quite sure I keep punishing myself coming here other than my kids like the food.